Check out the computer blogs that talk about us and our products. 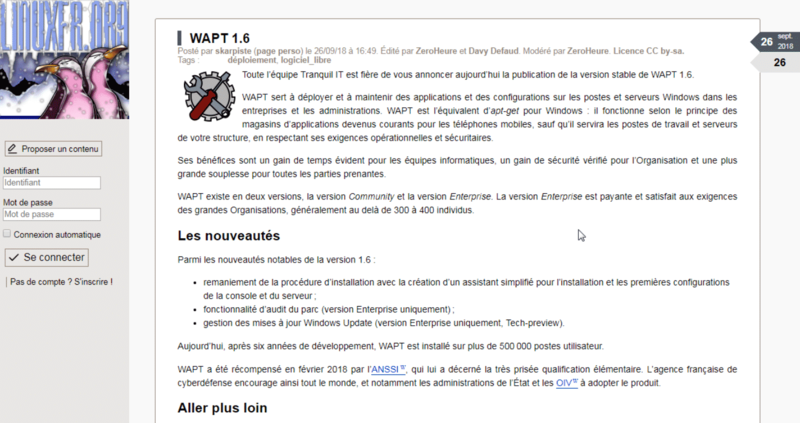 How to install WAPT version 1.5 on Windows? 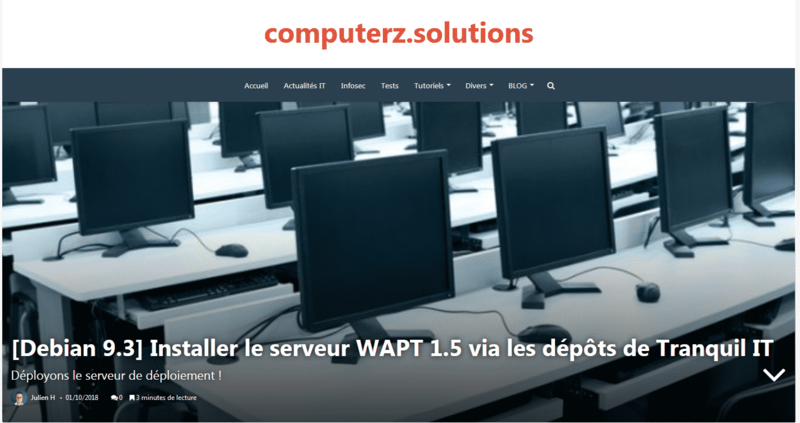 "Install the WAPT 1.5 server via Tranquil IT repositories"
A tutorial on the installation of WAPT 1.5 by a blogger who is passionate about computers. 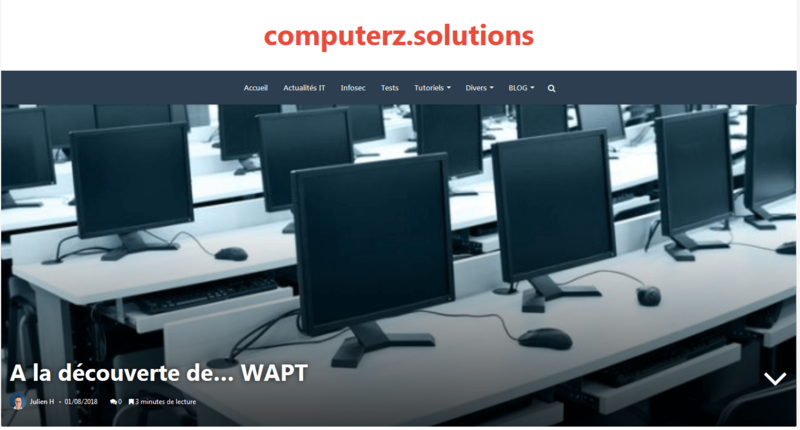 The blog of a computer enthusiast explains the use of WAPT software through his expertise in the field. 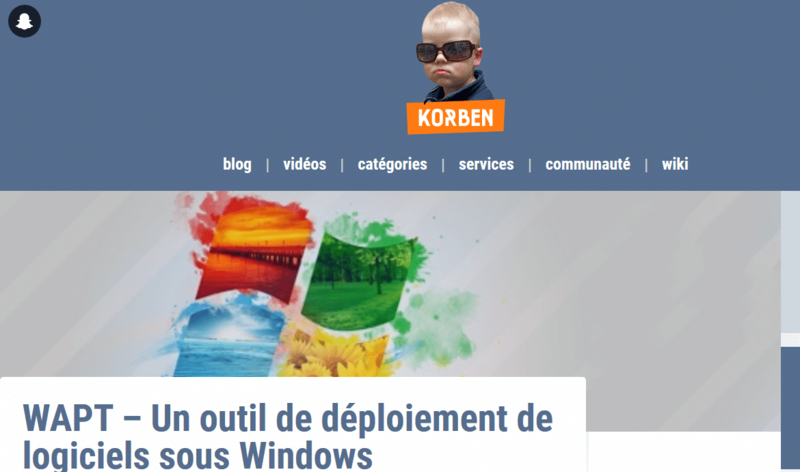 "APT vs Windows Update, yes but..."
The article compares the APT updates of Debian and Windows. 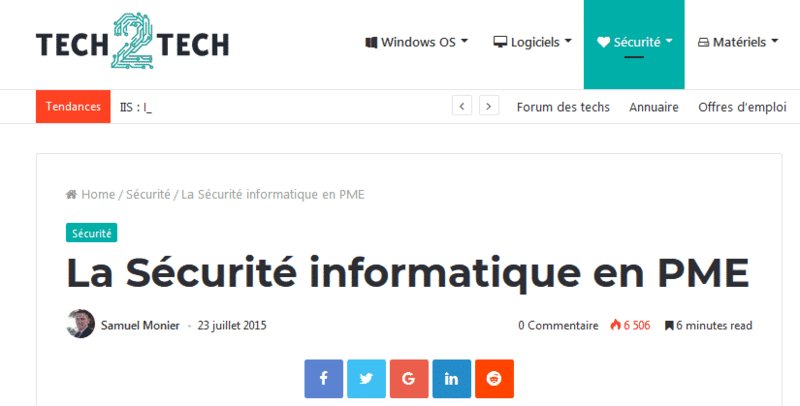 The author mentions WAPT as a manual software management tool. 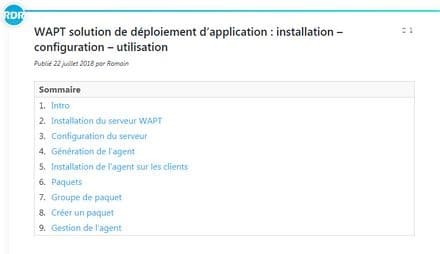 "WAPT - A software deployment tool for Windows"
Korben, the author of the blog is known to be the leader of the Internet. In this article, he explains the use of WAPT. A Tranquil IT employee who donates his knowledge and skills on WAPT through his personal blog. 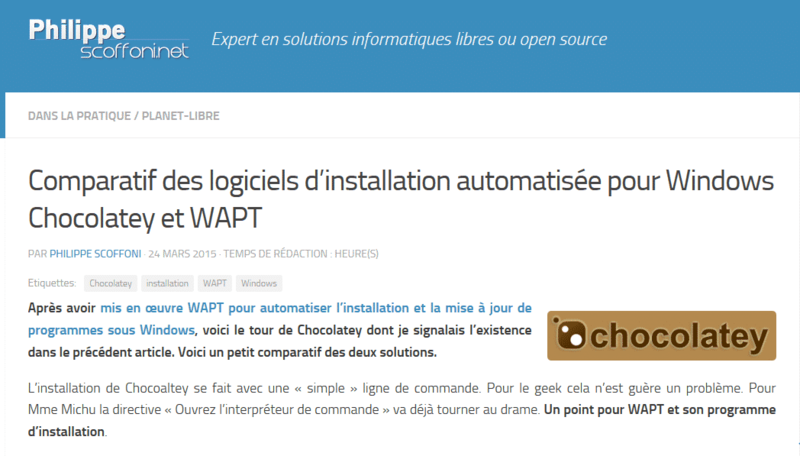 "Comparison of automated installation software for Windows Chocolatey and WAPT"
An expert in open source software solutions installed the two solutions and compared them, giving the advantages and disadvantages of each. 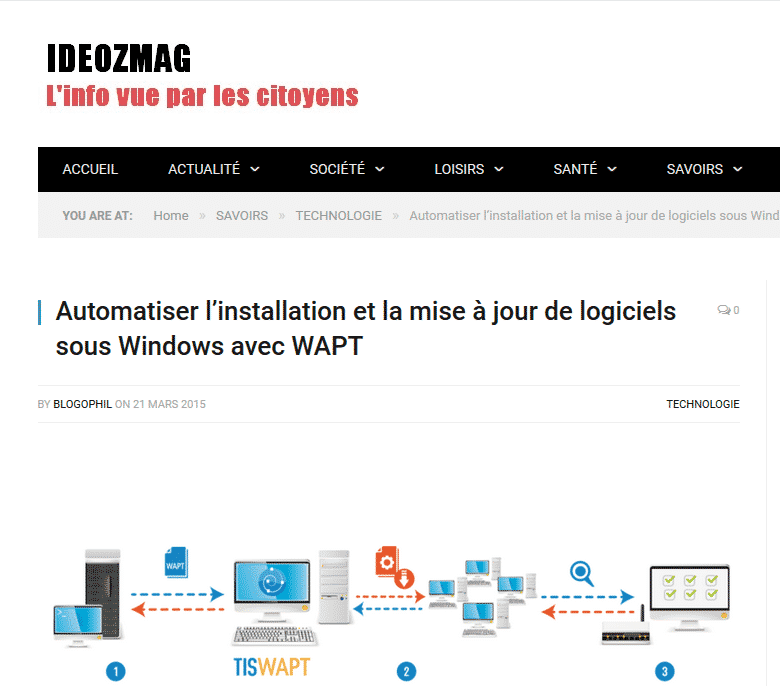 "Automate the installation and update of software under Windows with WAPT"
Ideozmag is a news magazine where current events are seen by citizens. The author provides feedback on WAPT. 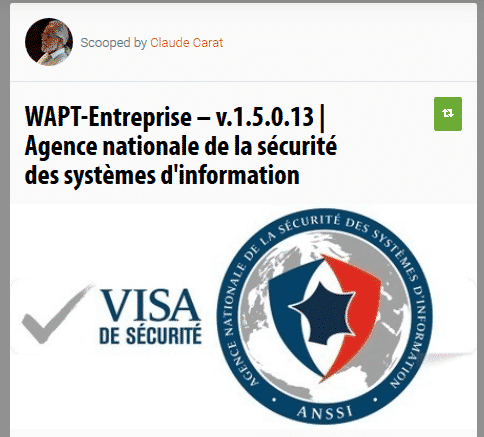 "WAPT-Enterprise - v.1.5.0.13 l ANSSI"
A retired computer scientist uses Scoop It to disseminate information on current computer news. In this article, the author explains the importance of having a secure IT infrastructure in an SME. "Installation, configuration of Samba 4 AD with Kerberos"
A SIO student created this blog to make tutorials on some software. Here, it explains how to install Samba 4 AD. 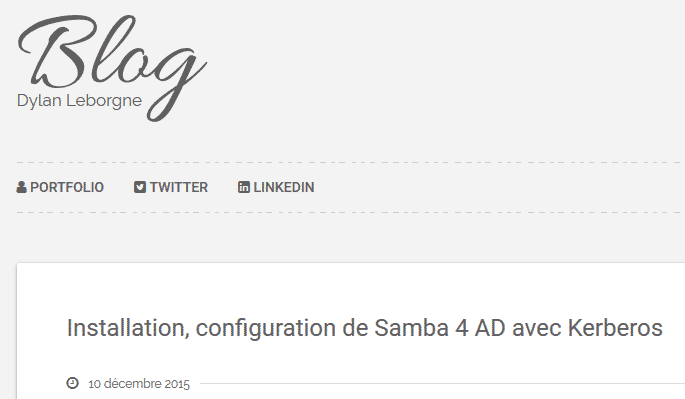 "Advanced administration of SAMBA 4 AD"
This is the blog of two RIR students who want to share their experience. Here, they transmit their skills to install Samba 4 AD. "Tranquil IT wants to convert schools to free software"
ChannelNews is an online newspaper that wrote an article about Tranquil IT and its business objectives. "The strengths and weaknesses of free software, by example"
MagIT is a website dedicated to IT information. The article talks about the Parc Naturel Régional du Vexin Français which becomes a client of Tranquil IT.